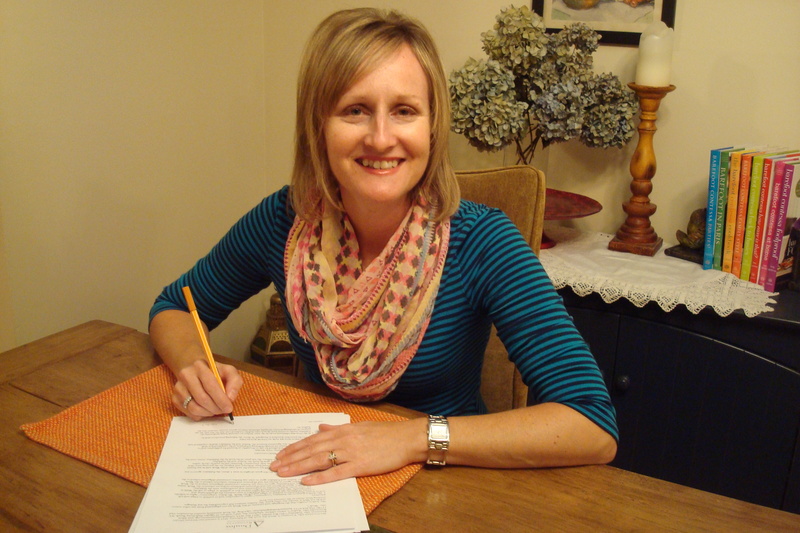 My Exciting Announcement: I have a book deal! For those of you who have followed Always Orange for a while or who know me personally, you have read or heard me talk about my book project. I am thrilled to announce that Kalos Press offered me a contract for Everywhere God: Exploring the Ordinary Places (working title)! About a month ago, while my students were quietly journaling, (how appropriate!) I heard from Kalos that they wanted to publish my book. Celebrating with seventh graders is pretty cool. Immediately, they wanted me to find Mr. Brummeler and tell him the good news. So we ran outside and did a happy dance in the snow before interrupting his class to tell him the good news. After enjoying the initial euphoria, the reality of actually writing the rest of the book looms large. I have a year to complete the manuscript, for which I am grateful. I am already calling this summer “the writing summer.” Yesterday I purchased a comfy-looking office chair, anticipating the many hours I will spend there. If you have never heard of Kalos Press before, you should check out their website. I love how they describe their purpose. Kalos Press was established to give a voice to literary fiction, biography, memoir, essays, devotional writing, poetry, and Christian Reflection, of excellent quality, outside of the mainstream Christian publishing industry. We believe that good writing is beautiful in form and in function, and is capable of being an instrument of transformation. It is our hope and ambition that every title produced by Kalos Press will live up to this belief. One of my favorite authors, Margie Haack, who I have written about on this blog several times, is one of Kalos’ authors. I am humbled and honored to share the connection of the same publisher with her. In the coming year, I’ll keep you posted on my progress. For starters, I thought you might enjoy reading an overview about the book. Although the Bible says that God is present everywhere, Alicia Helyer Brummeler, a wife and mother of two who works full-time, limited God’s presence to worship services, special occasions, or retreats. Dissatisfied by a sense that deepening her faith felt like another “to-do,” she wondered what it would look like to encounter God in the daily, ordinary moments of her life. What if she could encounter God while cooking dinner with her children or gardening in her backyard? Brummeler began a journey of learning and discovery, which showed her that experiencing God’s presence wasn’t another task to accomplish, but a way of looking at daily life and recognizing God in the midst of it. Congrats! Can’t wait to read it! God bless the journey, Alicia! Looking forward to reading your book! Alicia! I am so happy for and proud of you! Looking forward to my signed copy of your first book! I can’t wait to read it! Congratulations Alicia! ngratualtions!!! Looking forward to a good read!!! Congratulations! I can’t wait to read it! I will continue to follow your blog. Congratulations, Alicia!!! I can’t wait to read it! Congrats!! Looking forward to seeing you in April!